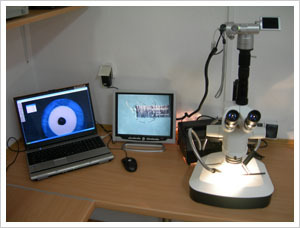 Our laboratory is equipped in modern measuring equipment. We also have a possibility of carrying out ISO 3808, ISO 6856, SAE J203, and SAE J2032 norm tests. It is possible to carry out any other tests required by our clients. The laboratory allows us to monitor the quality of our products and provides us with a possibility to compare products of our competitors. Below are briefly presented the following stands. The description does not exhaust the methodology of research, however they provide the most crucial measurements occurring while ignition cables are tested. 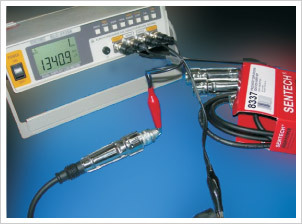 The stand is equipped with a modern digital meter for measuring resistance. High quality Kalvin wires provide high measuring accuracy. 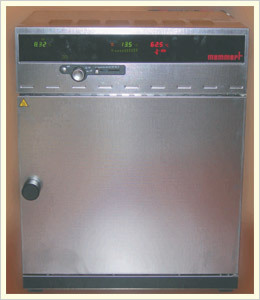 The stand is equipped with a modern digital meter for measuring induction and capacity. Furthermore there is a chance of comparative estimation of capacity in salt-water or other required liquids. The stand is equipped with a modern dynamometer for measuring the necessary to strip the metal ending of the wire. 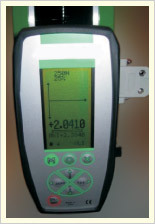 The measurement provides information about the quality of joint between the ending and the wire. All that reveals if the ending can be stripped off the wire during working or especially during disassembly. The stand is equipped with a modern digital meter for measuring the force necessary to strip the metal ending off the wire. The measurement provides information if the ending can be easily put on the plug in the distributor or coil and at the same time if the joint is strong enough to provide proper flow. A too tight joint may cause the ending to be ripped off while disassembly. 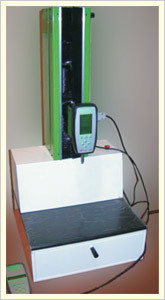 The stand is equipped with a modern meter for measuring the insulation resistance with voltage of 5 kV. 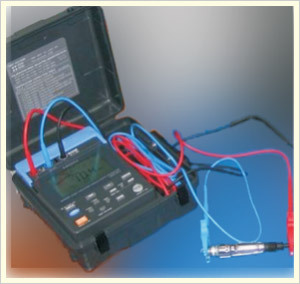 Such a test provides the characteristic of the insulation resistance with different voltages. 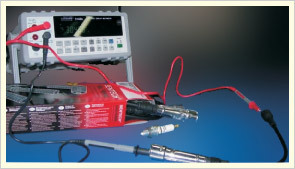 Altering the resistance in time with different test voltages allows instant evaluation of the quality of insulation. Tests are carried out mainly for comparative purposes to estimate the quality of a supply or products of competition. 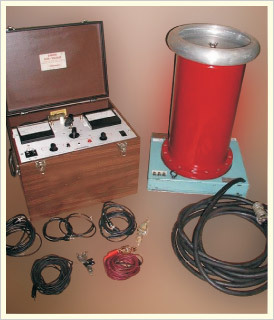 The stand is equipped with a modern meter for measuring durability with the voltage of up to 120 kV. The stand guarantees a possibility to test wires and isolators with high voltage in accordance with the norms. Another test is about checking the rupture voltage. All tests can be carried out on new parts or parts submitted to the process of aging in a thermal chamber. A modern thermal chamber enabling to test the wire and other parts in temperatures up to + 300°C. 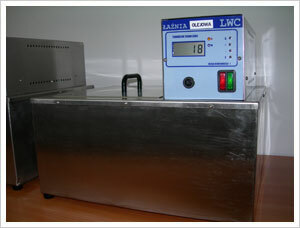 An analogous low temperature chamber (up to - 50°C) enables to test so called thermal shock. The stand is equipped with modern thermostatic baths. That enables checking wires and their components’ resistance to various liquids like water, salt water, oil, coding liquid and other liquids required by customers. The stand enables application of Vicker’s, Brinell’s and Rockwell’s hardness checking methods. Thanks to that we can control the quality of the metal component parts of ignition wires and the tools used for machining. Owing to the various methods in a wide range of scales we can control the properties of different metals like the soft copper os the hard advanced types of steel. 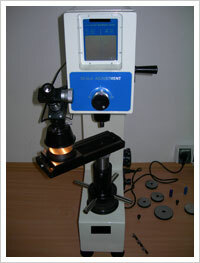 The hardness tester enables digital read as well as optical control. The stand enables us to spot cracks or rupture points in the insulation under a considerable magnification. Thanks to the latest programming there exist a possibility of optical examination and doing any measurements like length, angle, surface area, coaxiality, circularity and many other. There exist a possibility of advanced stereoscopic examination and 3D visualization for further examination.